>4% Boron, pH Buffered, Borate based liquid, Green Cross Linker. 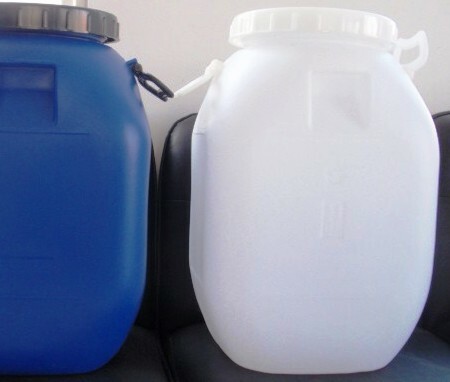 It is a green, glycol-free solution for cross linking guar, guar derivatives and other carbohydrate based fracturing fluids. BBG-XL-4 high Boron content buffered liquid Crosslinker. It is a green, glycol-free solution for cross linking guar, guar derivatives and other carbohydrate based fracturing fluids. BBG-XL-4 offers convenience and flexibility in the creation & use of high viscosity cross linked gels which potentially increase fracture width and allow higher proppant loading. BBG-XL-4 can be added on the fly, typical loading rates are 1 to 3 gpt based on fluid properties desired. Compatibility: Compatible with most known fracturing fluids additives used in all types of guar and guar derivatives. However, a compatibility test is recommended before use. Typical Dosage: Typically used at 1 to 3 GPT depending on well conditions and desired result. Temperature Limitations: Can be used across a wide temperature range, no lower or upper temperature limitations on performance. Typically used in wells with BHT up to 275 F, however the product will produce gels that are stable up to 350 F.
Use: CX-10 is a high Boron content non-buffered liquid Cross Linker. 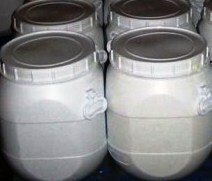 It is a solution for cross linking guar, guar derivatives and other carbohydrate based fracturing fluids. CX-10 offers convenience and flexibility in the creation & use of high viscosity cross linked gels which potentially increase fracture width and allow higher proppant loading. 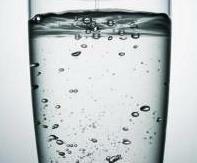 CX-10 can be added on the fly, typical loading rates are 1 to 3 gpt based on desired fluid properties. CX-10 should be used with a delayed buffer to reduce pumping horsepower requirements. Compatibility: Compatible with most known fracturing fluids additives for use with all types of guar and guar derivatives. A compatibility test is always recommended before use. Use: CX-14 is a high Boron content delayed liquid Cross Linker. It is a solution for cross linking guar, guar derivatives and other carbohydrate based fracturing fluids. CX-14 is a suspension of slowly dissolving Boron particles and gives a typical crosslinking delay of 0.5 to 5 minutes, depending on loading and other conditions. CX-14 can be added on the fly, typical loading rates are 1 to 3 gpt based on desired fluid properties. CX-14 should be used with a buffer to reduce pumping horsepower requirements. For fracturing shale gas rocks, transport of sand granules is required and to contain them as a suspension, a higher viscosity of frac fluid is needed. 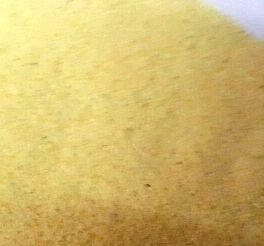 Guar, an edible grade gum, is the most commonly used gelling agents. Gelling agents: have long polymer chains which causes high viscosity. The gel-like fluid is able to hold the sand better than a normal low-viscous watery frac fluid. Proppants are sand or other granular substances are injected into the formation to hold or prop-open coal formation fractures created by hydraulic fracturing. Higher viscosity of fracturing fluids is required when they are formulated, to provide for efficient transport and placement of proppant into a fracture. One way to have a high viscosity fluid is to use large amount of gelling agent and a better way is to use a cross linker to increase the viscosity. Cross-Linked Gel Fluids: As per Wikipedia a cross-link is a bond that links one polymer chain to another. When polymer chains are linked together by cross-links, they lose some of their ability to move as individual polymer chains. For example, a liquid polymer (where the chains are freely flowing) can be turned into a "solid" or "gel" by cross-linking the chains together. Guar Gum & Guar Derivatives in Fracturing: Guar gums and its derivatives are preferred as thickeners for Enhanced Oil Recovery (EOR), Guar hydrates fairly rapidly in water and it is a good emulsifier. 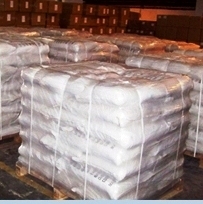 Guar gum has high low-shear viscosity and it is has shear-thinning property. Guar has thickening power much higher than that of starch. Derivatization of guar gum is done to improve its properties. Borate Cross linked Guar: Guar molecules have a tendency to aggregate during the hydraulic fracturing process, mainly due to intermolecular hydrogen bonding. These aggregates are detrimental to oil recovery because they clog the fractures, restricting the flow of oil. One way to have a high viscosity fluid is to use large amount of guar in water and a better way is to use a cross linker to increase the viscosity. Lower concentrations of guar gelling agents are needed when linear guar chains are cross-linked. It has been determined that reduced guar concentrations provide better breaks in a fracture. The breakdown of cross-linked guar gel after the fracturing process restores formation permeability and allows increased production flow of gas and petroleum products. Borate cross-linked guar gum gels are both shear-thinning and thermally thinning but on cooling, gel restoration is rapid. These fluids are reversible. The gel properties, like the control of the cross-linking rates, sand suspending properties, and extended thermal stability are required in the first place and further improved by X-linking. At the start of hydraulic fracturing the fluid is transported down the tubing into the formation. The temperature at the top is low. As the fluid goes down, temperature rise will reduce the fluid’s viscosity. If the fluid’s viscosity becomes too low, the settling rate of the proppant will increase, which results in undesirable proppant distribution. Along with borate, zirconate cross-linkers have been used extensively in fracturing fluids. While the borates are useless above 95C or 200F, zirconium cross-linkers will perform up to 175C or 350F in fresh and salt water. Zirconium cross linked Guar: Cross linking Guar with Zirconium is one way reaction and is not reversible. Temperature dependent release of Cross linker zirconium is preferred in fracturing with guar gel.